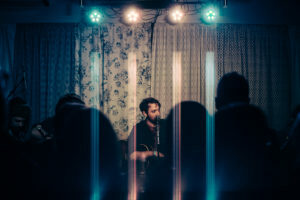 Jason Scott is multi faceted singer-songwriter and producer from OKC, OK. Jason recently released his first EP “Living Rooms” to a sold out crowd at the Tower Theatre Studio on Jan 19th with a lineup that included Carter Sampson, John Calvin Abney, Erik Oftedahl, and Kyle Reid. Owner of ON studios LLC, the 33 year old Oklahoma native is currently working on producing Carter Sampson’s 4th record, and is looking forward to collaborations with other local artists in the near future. In addition Jason has also started production on his own sophomore release “In The Offing” scheduled for late Fall 2018.